The date and location for next year’s WWE Royal Rumble pay-per-view event have been confirmed. Late Friday night, the company announced via a press release that Minute Maid Park in Houston, Texas will host the Royal Rumble on Sunday, January 26, 2020. Fans attending the Elimination Chamber event at the Toyota Center in Houston will receive an exclusive pre-sale offer to buy tickets to the Royal Rumble before the general public. Details on ticket availability will be made in the near future. WWE also confirmed that the event will feature a 30-Man Royal Rumble match, and a 30-Woman Royal Rumble match with the winners of both matches receiving Championship opportunities at WrestleMania 36. The event will mark WWE’s debut at Minute Maid Park. 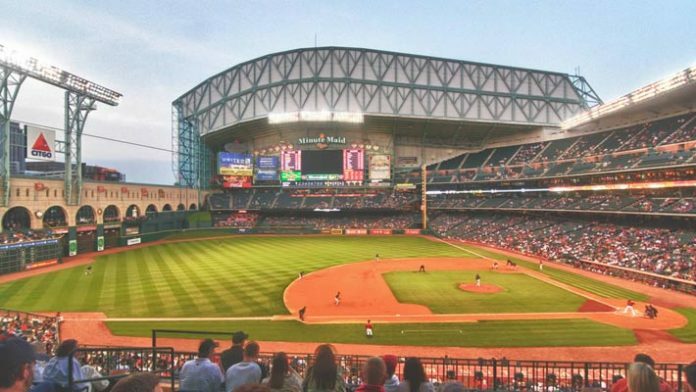 Minute Maid Park has a maximum capacity of over 40,000 people. 2020 will mark the second time the Royal Rumble has been held at a baseball stadium following this year’s event at Chase Field in Phoenix which took place in front of a capacity crowd of 48,193.